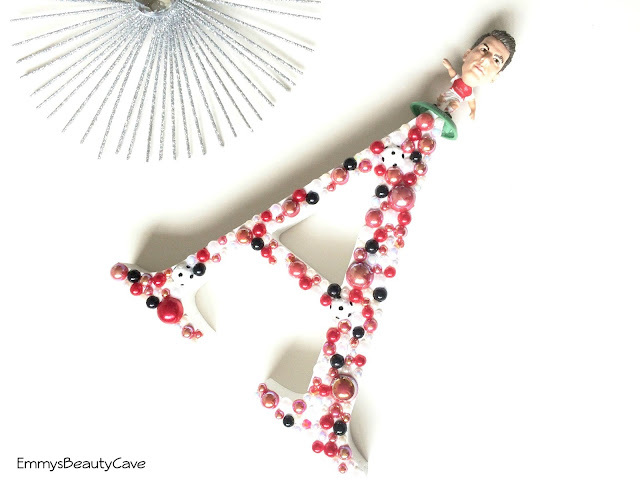 I recently downloaded the app Depop to sell some of my makeup and clothes and i came across a page that made these handmade letter ornaments. On the page they were all Disney characters and i have to say i fell in love. I am a big Disney fan and Ariel is my favourite so i definitely had to order myself one. I recently got a dressing table and thought this would look perfect on it. As the page was only Disney related i messaged the woman asking if she would be able to do a football styled one for my nephew and she said yes! She is also on instagram which i will leave all links at the end of the post! How cute is this?! You can see the amount of detail gone into it is amazing. 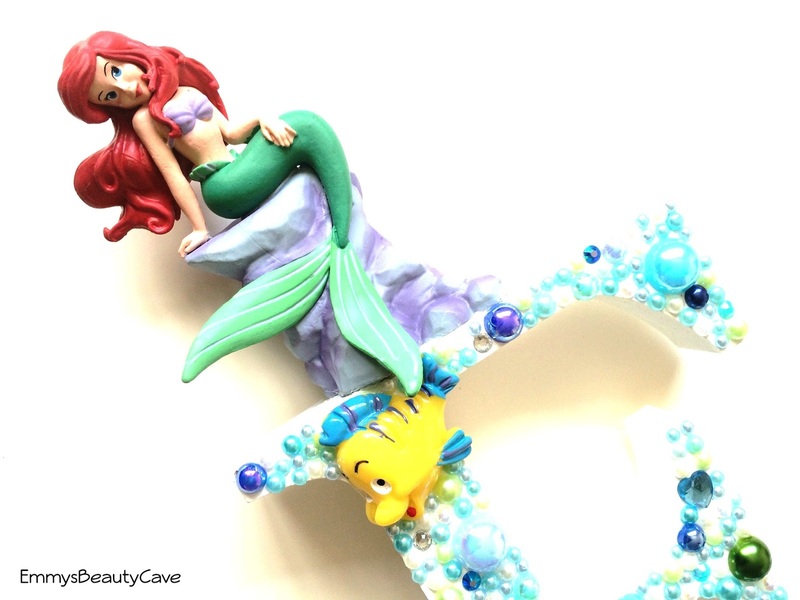 I love how the Ariel figurine and Flounder one on the letter. The beads all look so pretty. It has a mixture of sizes and styles. One large bead has scales on and then there are some heart shaped ones too. The letters are wooden and the figurines are quite light so it isn't heavy at all which is perfect if you want to send this as a gift. My nephew is 9 and obsessed with football especially Arsenal. I thought this would make a perfect gift for his room. As there was only Disney ones on the page i asked if she could do anything related to football and keep it red for Arsenal. 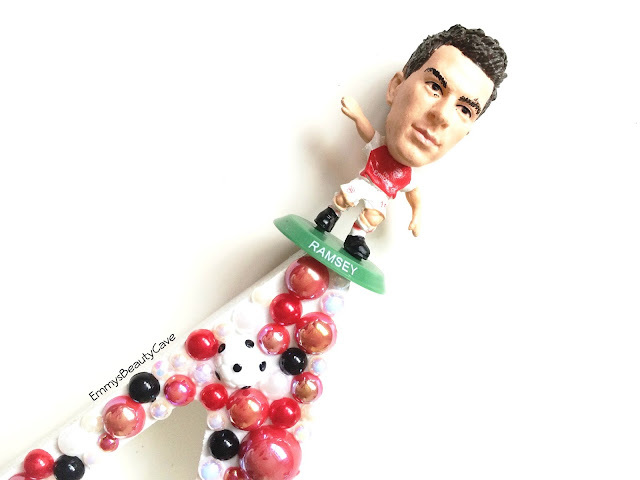 The woman is lovely, she messaged me asking me which players he liked so she could get a figurine which looks amazing. I love the little touch of the small footballs on the letter. The colours are perfect for Arsenal and im sure my nephew is going to love it. They cost £20 plus £4 postage which is such a good price as they are handmade. They can take around 1-2 weeks to make. The lady is lovely and contacts you every step of the way updating you and asking your opinion so it is made just how you like. Definitely check her out on Instagram and Depop! Disclaimer: Note i paid for these myself as one is for me and one is a gift. 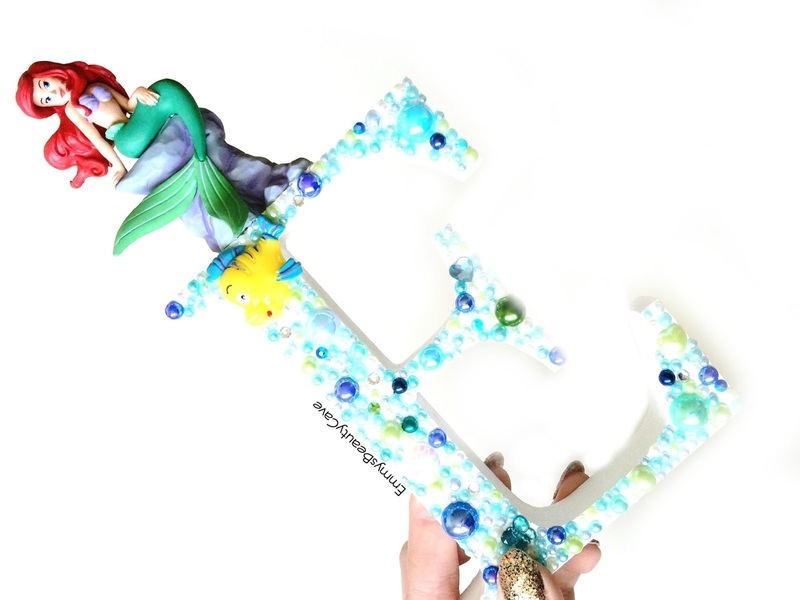 I have not been asked to do a post, i just thought they would make such cute gifts so why not share with you? What an adorable idea! I love them! 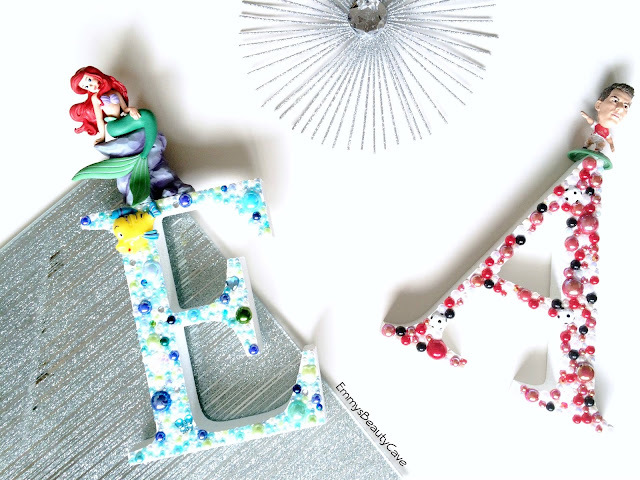 These look like super sweet ideas for a gift, so adorable! adorable! might look into getting these for my nieces christmas! I love the idea, so easy but perfect! SO COOL! Love these, what a fab idea!